Ex-Georgia president Mikheil Saakashvili claims Russia has hacked his e-mail and is trying to meddle in Georgia’s election. Saakashvili, head of state when Tbilisi went to war with Moscow a decade ago, is currently exiled in the Netherlands. But with his ally Grigol Vashadze the frontrunner to win Georgia’s presidential run-off, the door has opened for Saakashvili’s return. The 50-year-old’s homecoming would be controversial after his conviction-in-absentia and six-year jail term for abuse of power. 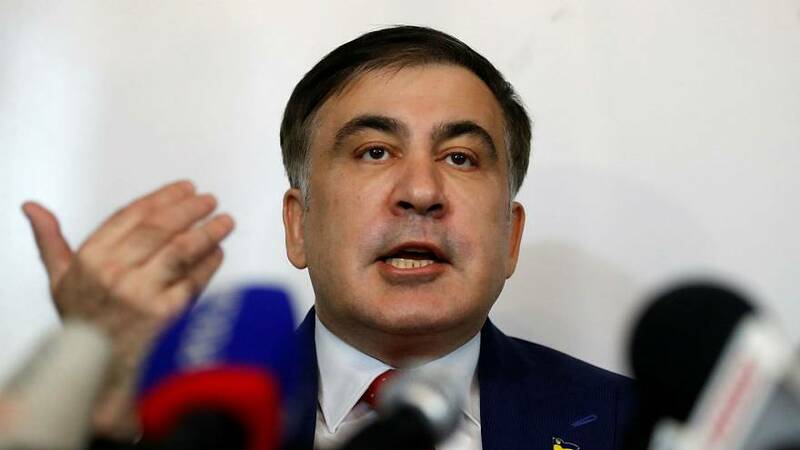 Saakashvili, currently stateless after giving up his Georgian nationality and being stripped of his Ukrainian passport, said the trial was politically-motivated. A source at Russia's Foreign Ministry dismissed Saakashvili's comments, telling Euronews he was living in an "imaginiary world". He doesn’t want to run for office in Georgia, for now, instead favouring “the next generation of reformers”. Vashadze, who represents the United National Movement party founded by Saakashvili, won 37.7% of votes in the first round of Georgia’s presidential election last month, narrowly behind ruling party candidate Salome Zurabishvili. But third-placed David Bakradze — who got around 11% of the votes — has pledged his support for Vashadze in the run-off vote, which will happen before December 1 and see the 60-year-old go head-to-head with Zurabishvili. Saakashvili served as president of his native Georgia for most of the period from 2004-2013 and left the country shortly after stepping down. He was invited to Ukraine by Petro Poroshenko, who took power after protests toppled a pro-Russian leader in 2014. Saakashvili gained Ukrainian citizenship and doing so had to give up his Georgian one. He held a regional governorship from 2015-2016 before falling out with Poroshenko and joining the opposition. Poroshenko then stripped Saakashvili of his Ukrainian citizenship last year and he is currently stateless in the Netherlands. "I don’t have any idea what Mr. Saakashvili means when he speaks about the campaign against him on Russian television. It is also a mystery to me where he found statements by Russian officials who said that they would not allow him to return to Georgia. I dare to note that the moves of Mr. Saakashvili are no longer of interest to serious politicians. After all, this has long been a purely private person, by the way, deprived of citizenship in both countries, where he once tried to engage in politics. "However, this does not prevent him from continuing to live in his imaginary world and fight the Russian “intrigues”."